Follow this link for a list of the equipment and lighting you MUST have on your boat when operating in the state of Florida. Did You Know? Florida law requires anyone 21 years old or younger to take an approved boating safety course and earn a boating safety ID care to operate a boat with 10 horsepower or more. Boaters 21 and under must carry the ID card and a photo ID while operating a powerboat or personal watercraft. This online boating safety course is approved by the Florida Fish & Wildlife Conservation Commission. Successfully completing this course will allow you to obtain the official Florida Boating Safety Education ID Card. BoaterExam.com — Get Your Boating License Online! All vessels operating with mechanical propulsion devices (such as gas or electric outboards) are required to be registered. Vessels must be registered and numbered within thirty (30) days of purchase. Registration numbers must be displayed on the forward half of the vessel on both sides above the waterline. The numbers must be bold block letters at least 3 inches high in a color contrasting to the hull. The vessel registration decal must be renewed annually and is to be displayed within six (6) inches of, either before or after, the registration numbers on the port (left) side. Documented vessels without a state registration in full force and effect, must also obtain a Florida registration and display the validation decal on the port side of the vessel when using Florida waters. All operators are responsible for operating their vessel in a reasonable and prudent manner with regard for other vessel traffic, posted restrictions, the presence of a divers-down flag, and other circumstances so as not to endanger people or property. Failure to do so is considered careless operation (a non-criminal infraction). Florida law requires that anyone convicted of a criminal boating violation, a non-criminal boating infraction which resulted in a boating accident, or two non-criminal boating safety infractions within a 12-month period, must enroll in, attend, and successfully complete a NASBLA/state approved classroom boater education course. Correspondence or on-line course applications do not meet these requirements. Anyone who is convicted of a criminal boating violation, any boating infraction resulting in a reportable boating accident, or two non-criminal boating safety violations within a 12-month period must attend and successfully complete an approved boating safety course and file proof with the Florida Fish and Wildlife Conservation Commission. The violator's privilege to operate a vessel in the state will be suspended until proof of course completion is filed. The operator of a vessel towing someone on skis or another aquaplaning device must either have an observer, in addition to the operator, on board who is attendant to the actions of the skier or have and use a wide-angle rear view mirror. No one may ski or aquaplane between the hours of a half hour past sunset to a half hour before sunrise. No one may water ski or use another aquaplaning device unless they are wearing a U.S.C.G. approved non-inflatable Type I, II, III, or V personal flotation device (PFD). Inflatable personal flotation devices are prohibited. The size of divers-down flags displayed on vessels must be at least 20 inches by 24 inches, and a stiffener is required to keep the flag unfurled. Dive flags carried on floats may still be 12 inches by 12 inches. Also, divers-down flags on vessels must be displayed above the vessel's highest point so that the flag's visibility is not obstructed in any direction. Divers must make reasonable efforts to stay within 300 feet of a divers-down flag in open waters (all waterways other than rivers, inlets, or navigation channels) and within 100 feet of a flag within rivers, inlets, or navigation channels. Vessel operators must make a reasonable effort to maintain a distance of at least 300 feet from divers-down flags on open waters and at least 100 feet from flags on rivers, inlets, or navigation channels. Vessels approaching divers-down flags closer than 300 feet in open water and 100 feet in rivers, inlets, and navigation channels must slow to idle speed. The facility must provide pre-rental or pre-ride instruction on the safe operation of the vessel with a motor of 10 horsepower or more. This instruction must include, at a minimum, operational characteristics of the vessel, safe operation and right-of-way, operator responsibilities, and local waterway characteristics. The person delivering this information must have completed a NASBLA/state-approved boater safety course. All renters are required by law to have a boater education ID card must have the card or its equivalent before the facility may rent to them. PWC liveries may not rent to anyone under the age of 18. PWC liveries must display safety information on the proper operation of a PWC. The information must include: propulsion, steering and stopping characteristics of jet pump vessels, the location and content of warning labels, how to re-board a PWC, the applicability of the Navigation Rules to PWC operation, problems with seeing and being seen by other boaters, reckless operation, and noise, nuisance, and environmental concerns. 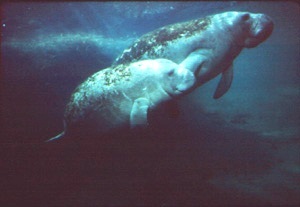 Manatees are protected by state and federal law. It is illegal to harass, hunt, capture, or kill any marine mammal, including manatees. Anything that disrupts a manatee's normal behavior is a violation of law, punishable under federal law up to a $50,000 fine, one-year imprisonment, or both. Boaters must observe all manatee protection zone requirements. Learn more about Florida manatees. The operator of a vessel involved in a boating accident where there is personal injury beyond immediate first-aid, death, disappearance of any person under circumstances which indicate death or injury, or if there is damage to the vessel(s) and/or personal property of at least $2,000.00, must, by the quickest means possible, give notice to one of the following: the Florida Fish and Wildlife Conservation Commission, the sheriff of the county in which the accident occurred, or the police chief of the municipality in which the accident occurred, if applicable. Any vessel operating in a speed zone posted as an "Idle Speed - No Wake" must operate at the minimum speed that will maintain steerageway. Any vessel operating in a speed zone posted as "Slow Down - Minimum Wake" must operate fully off plane and completely settled in water. The vessel's wake must not be excessive nor create a hazard to other vessels. It is a violation of Florida law to operate a vessel while impaired by alcohol or other drugs. A vessel operator suspected of boating under the influence must submit to sobriety tests and a physical or chemical test to determine blood or breath alcohol content. In Florida, a vessel operator is presumed to be under the influence if their blood or breath alcohol level is at or above .08. Any person under 21 years of age who is found to have a breath alcohol level of .02 or higher and operates or is in actual physical control of a vessel is in violation of Florida law. Each person operating, riding on, or being towed behind a personal watercraft must wear an approved non-inflatable Type I, II, III, or V personal flotation device. Inflatable personal flotation devices are prohibited. See all the Florida PWC Safety Rules and Regulations here. Except in the event of an emergency, it is unlawful for any person to anchor or operate a vessel in a manner that will unreasonably interfere with the navigation of other vessels. The owner and/or operator of a vessel is responsible to carry, store, maintain, and use the safety equipment required by the U.S.C.G. safety equipment requirements. To find out what lights are required for your boat, click here. A child under the age of six (6) must wear a U.S.C.G. approved Type I, II, or III personal flotation device while onboard a vessel under 26 feet in length while the vessel is underway. "Underway" is defined as anytime except when the vessel is anchored, moored, made fast to the shore, or aground. The use of sirens or flashing, occulting, or revolving lights is prohibited except where expressly allowed by law. No person may operate a mono hull boat of less than 20 feet in length while exceeding the maximum weight, persons, or horsepower capacity as displayed on the manufacturer's capacity plate. Vessels operating in Florida waters must comply with the U.S.C.G. requirements relating to marine sanitation devices, if applicable. Law enforcement officers of the Florida Fish and Wildlife Conservation Commission, Sheriff's deputies of the various counties, and any other authorized enforcement officer, shall have the authority to order the removal of vessels deemed to be an interference or hazard to public safety, enforce all boating safety laws, or cause any inspection to be made of all vessels in accordance to state law. A law enforcement officer may stop any vessel for the purpose of checking for compliance with boating safety equipment requirements. Sea grasses are the principal food for endangered marine herbivores such as manatees and green sea turtles, act as natural filters to help purify the water, and provide a suitable environment for a wide variety of marine life. Boaters should make all available attempts to avoid running through sea grass beds. Navigation charts identify sea grass beds as light green on the chart. Boaters should make all possible attempts to stay within channels when unfamiliar with a waterway. Avoid taking shortcuts through sea grass beds to avoid causing propeller scars. It is a violation of Florida law to damage sea grass beds in some areas within state waters. Learn more about sea grass in Florida. Visit our page on Sea Grasses to learn more and see photos! © 2001-2014 FloridaMarineGuide.com All Rights Reserved. All logos and trademarks in this site are property of their respective owners.